What recent program or strategy has seen unique success? Purolator sought to upgrade their outmoded analog video surveillance systems to sophisticated IP solutions in all retail outlets. Working closely with support services from Axis, Purolator designed the optimal custom solution for retail locations. How did the idea or program/strategy originate? The goal was to support and monitor quality control, validate retail transactions and aid investigations of customer inquiries and criminal activities. Some of the stores have limited resources and are located in remote areas. The team was concerned about rolling out network technology that would not only challenge bandwidth constraints, but would require significant funds for software licenses. How has the LP/AP department exceeded the expectations of senior leadership? 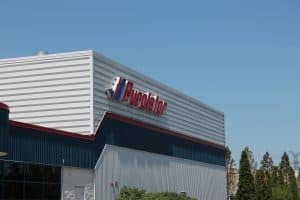 Purolator upgraded most retail locations to an intelligent surveillance solution without expensive enhancements to the network infrastructure. The team was pleased to discover that enabling Axis Zipstream technology on the cameras far exceeded expectations to reduce the bandwidth needed for detailed, actionable video. Some of the stores have limited resources and are located in remote areas. The team was concerned about rolling out network technology that would not only challenge bandwidth constraints, but would require significant funds for software licenses. What does the LP/AP department do that pushes the envelope in terms of technology, tools, or approach? Given the mission at hand, Purolator developed a tailor-made, optimized solution specific for the retail stores. It comprises of 3-5 Axis IP cameras, easy-to-use software, top-of-the-line streaming technology and adequate data storage while reducing bandwidth consumption. Everything comes together through AXIS Companion video management software and onsite recorder. Without having to purchase software licenses, the centralized command center and local security staff can easily access live or recorded video from a mobile device or PC to quickly investigate and validate mishaps. Are other retailers are facing this struggle? Yes, shipping is an industry with complex transactions over multiple locations and high expectations for the process to be carried out perfectly. That’s why video surveillance is a critical component for loss prevention and quality control. It can be used to monitor and record all interactions at customer service retail stores, as well as aid in the investigation of customer inquiries and criminal activities. *Editor’s Note: This snapshot was submitted by Axis Communications. For more information, check out the detailed case study: https://www.axis.com/files/success_stories/ss_ret_purolator_72015_en_1807_lo.pdf.